Year of the Labbit: Taipei Bound! 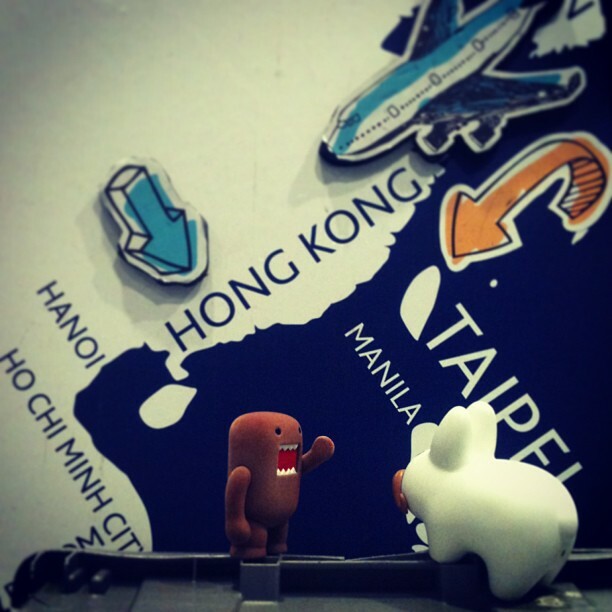 Domo and Pipkin are at the airport, waiting to board the plane. Their flight is at a horrid 01:40. Who plans these flights? First leg of the flight is to Hong Kong (15 hours), then another (3.5 hour) flight to Taipei. Hopefully they can catch some z's on the plane. Taipei is a fantastic place! Enjoy your trip! please check out my Labbit Blog.